(IMPACT), and the GWU High-Performance Computing Academic Signature Program. 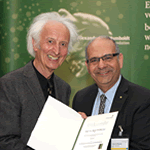 Faculty Fellow, IBM Center for Advanced Studies, Toronto. currently, with new funding memberships and supplements added yearly). Tarek ElGhazawi (GWU P.I.). Mittal, Lang, Lee and Briscoe. (10/09-09/14). 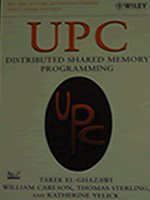 Unified Parallel C (UPC). Lawrence Berkeley National Lab (LBNL), $145K. Tarek El-Ghazawi (P.I.). (11/9-7/11). Exploring Multicore and Multi-Paradigm Processing for High-Performance Computing. Arctic Region Supercomputing Center (ARSC), $535K. Tarek ElGhazawi (P.I.). (6/07-5/11). US-Egypt Workshop on Software Development for Multicore and Heterogeneous Processors. NSF, $40K, Tarek El-Ghazawi (P.I.). (2/09-1/11). Exploration of a Research Roadmap for Application Development and Execution on FPGA-based Systems. Wright-Patterson Air Force Research Lab and DARPA, $350K. Tarek El-Ghazawi (P.I. ), Alan George (Co-P.I.). (9/07-6/08). An Infrastructure for a Parallel C: UPC. DoD, $1.05M. Tarek El-Ghazawi (P.I.). (6/04-7/09). Accelerating UPC and High-Performance Reconfigurable Computing for HPC Centers. ARSC/UAFB, $405K. Tarek El-Ghazawi (P.I.) (6/05-8/07). A Reconfigurable Computing Architecture for On-Board Data Reduction and Cloud Detection. NASA, $270K. Tarek El-Ghazawi (P.I.). (1/2004-12/2006). Emerging Parallel Architectures and High-Productivity Languages: A Pilot Study. ARSC/UAFB, $50K. Tarek El-Ghazawi(P.I.). (3/05-5/05). Director, the GW Institute for Massively Parallel Applications and Computing Technology (IMPACT), GWU with funding from the GWU endowment and academic units contributions. Co-Director, the NSF Industry/University Center for High-Performance Reconfigurable Computing (CHREC), a U.S. national center spanning GWU/UF/VaTech/BYU and created by NSF and more than 40 governmental and industrial organization memberships. Arctic Region Supercomputing Center Science Advisory Panel, Advisory Board for the IEEE Task Force on Cluster Computing, OpenFPGA Consortium Steering Committee, UPC Language Consortium. Member of the IEEE Computer Society Fellows Selection Committee. Interview with Good Morning Egypt on Supercomputing and New Processing Technologies, TV Channel 1 in Egypt, December 2010. Using FPGAs, pages 719–745. Springer New York, 2013. York, Chapman & Hall/CRC Computer & Information Science Series, 2007, pps. Nature Publishing Group, London, 2000. ISBN: 0-333-77879-0.
in The Encyclopedia of Computer Science, edited by A. Ralston, E. Reilly, and D.
Hemmendiger, Nature Publishing Group, London, 2000. ISBN: 0-333-77879-0. Coherence Mechanisms with Producer-Consumer Sharing Optimization for Chip Multiprocessors," IEEE Transactions on Computers (to appear). Computers and Digital Techniques (to appear). Computing” Computers, vol. 2, no. 4. pp. 176-214, Nov 2013.
coherence optimizations for chip multiprocessors. International Journal of Parallel Programming, pages 1–21, 2013. Lubomir Riha, Maria Malik, and Tarek El-Ghazawi, "An Adaptive Hybrid OLAP Architecture with optimized memory access patterns," Cluster Computing Journal, Dec. 2012. Lingyuan Wang, Miaoqing Huang, and Tarek El-Ghazawi, "Towards Efficient GPU Sharing on Multicore Processors," ACM SIGMETRICS Performance Evaluation Review, vol. 40, no. 2, pp. 119-124, Sept. 2012. Miaoqing Huang, Vikram K. Narayana, Tarek El-Ghazawi, Mohamed Bakhouya and Jafer Gaber, “Efficient Mapping of Task Graphs onto Reconfigurable Hardware Using Architectural Variants,” IEEE Transactions on Computers, vol. 61, no. 9, pp. 1354-1360, Sept. 2012. Aldahlawi, E. El-Araby, S. Suboh, and T. El-Ghazawi, “An Empirical and Architectural Study of Using an SSD-Aware Hybrid Storage System To Improve The Performance Of The Data Intensive Applications”, International Journal of Information and Electronics Engineering vol. 2, no. 5, pp. 720-730, Aug 2012. Maria Malik, Teng Li, Umar Sharif, Rabia Shahid, Tarek El-Ghazawi, and Greg Newby, “Productivity of GPUs under Different Programming Paradigms,” Concurrency and Computation: Practice and Experience, 24(2), pp. 179–191, 2012. Esam El-Araby, Ivan Gonzalez, Sergio Lopez-Buedo, and Tarek El-Ghazawi, “A convolve-and-merge approach for exact computations on high-performance reconfigurable computers,” Int. J. Reconfig. Comput. 2012, Article 8, Jan. 2012. M. Huang, V. Narayana, H. Simmler, O. Serres and T. El-Ghazawi: Communication and Reconfiguration-Aware Task Scheduling for HighPerformance Reconfigurable Computing. ACM Transactions on Reconfigurable Technology and Systems (TRETS). Volume 3 Issue 4, November 2010. Salem, F., M. Kafatos, T. El-Ghazawi, R. Gomez, and R. Yang, Hyperspectral image assessment of oil-contaminated wetland. International Journal of Remote Sensing 26, 811-821(11) (2005). T. El-Ghazawi and J. Le Moigne, “Performance of the Wavelet Decomposition on Massively Parallel Computers, International Journal of Computers and Their Applications. Vol. 27, No2, 2005. T.El-Ghazawi, K.Gaj, N. Alexandridis, F. Vroman, N. Nguyen, J. Radzikowski, P. Samipagdi, and S. Suboh, Performance Study of Job Management Systems,. Concurrency and Computation: Practice and Experience, John Wiley & Sons, Ltd. Vol. 16 Issue 13, October 2004. Sinthop Kaewpijit, Jacqueline Le Moigne, and Tarek El-Ghazawi, Feature reduction of hyperspectral imagery using hybrid wavelet-principal component analysis. Optical Engineering Vol 43 No 350, Feb 2004. EL-Askary, Sarkar, Chiu, Kafatos and El-Ghazawi. Rain gauge derived precipitation variability over Virginia and its relation with the El Nino southern oscillation. Advances in Space Research Volume 33, Issue 3 , 2004. Geosciences and Remote Sensing (TGARS) Volume 41 No. 10, Oct. 2003. Registration on Parallel Clusters,” Future Generation Computer Systems, NorthHolland Elsevier, vol. 17, pp. 467-476, 2001. Tasks onto Nodes: A Parallel Local Neighborhood Approach,” Future Generation Computer Systems, North-Holland Elsevier, vol. 17, pp. 397-403, 2001. Computations for Data Mining,” IEEE Concurrency, vol. 7, No. 4. Oct.-Dec. Remote Sensing, vol. 65, No. 5, May 1999.
vol. 42, No. 2, June 1993.
International Journal of Mini and Microcomputers, vol. 15, No. 3, Nov. 1993. Computer Modeling and Simulation, Barcelona, Spain, February 20-21, 2014. Workshop on Power Measurement and Profiling (PMP 2013) in conjunction with IEEE IGCC 2013.June 26-29, Arlington, VA.
2013), Fes/Ifrane, Morocco, May 27 – 30, 2013. Systems, Architectures and Processors (ASAP 2013), June 2013. Applications (ISPA 2012). Madrid, July 2012. Suboh. A. Suboh, Vikram K. Narayana, Mohamed Bakhouya and Tarek ElGhazawi, “A Scalability Study of Interconnect Architectures for System-onChip,” in Proc. International Conference on High Performance Computing and Simulation (HPCS'12). Madrid, July 2012. Applications on Heterogeneous Clusters,” in Proc. 2012 International Conference on High Performance Computing and Simulation (HPCS'11). Madrid, July 2012. (CF’12), Cagliari, Italy, May 15-17 2012. Symposium on Cluster, Cloud and Grid Computing (CCGRID 2012), May 2012. 2012), Stuttgart, Germany, April 2012. 20th Euromicro International Conference on Parallel, Distributed and NetworkBased Processing (PDP 2012), February 2012. (AICCSA), 2011, pp.181,187, 27-30 Dec. 2011. Distributed Systems (ICPADS 2011). IEEE, Tainan, Taiwan, Dec 2011.
in Proc. 40th Int'l Conference on Parallel Processing (ICPP 2011), Sept 2011.
conjunction with IPDPS, May 2011. (HIPS'11) held in conjunction with IPDPS 2011, May 2011. Sky, Montana, March 5-12, 2011.
of The ACM International Conference on Computing Frontiers 2010 (CF'10), pp. 41-50, Bertinoro, Italy, May 17-19, 2010. Workshops (IPDPS POMEO), April 2010.
pp. 247-250, Napa, CA, USA, April 5-7, 2009. Proceedings, pp. 74–79, San Diego, May 2009. B. M. Holland, C. Reardon, A. D. George, H. Lam, G. Stitt, N. Alam, and M. C.
S. G. Merchant, B. M. Holland, C. Reardon, A. D. George, H. Lam, G. Stitt, M.
C. Smith, N. Alam, I. Gonzalez, E. El-Araby, P. Saha, T. El-Ghazawi, and H.
Approach for Evaluating Network-on-Chip Interconnect Architectures”, Proc. Access Framework for High-Performance Reconfigurable Computers", Proc. Languages on Reconfigurable Computers: An HPC Perspective", Proc. Reno, NV, USA, November , 2007. Applications (FPL 2007), Amsterdam, Netherlands, 27-29 August 2007. Systems and Applications (AICCSA 2007), Amman, May 2007.
on IIPS at the 87th AMS Annual Meeting, San Antonio, TX, Jan 2007.
and Applications (FPL06), Madrid, Spain, August 2006. Processing Symposium, Rhodes Island, Greece, April 2006. (ESTC 2006), Maryland, USA, June, 2006. Cray User Group Conference, 2006. Programmable Computing Technology (FPT 2005), Singapore, Dec 2005. IGARSS’05, Seoul, Korea, July 25-29, 2005. D. Chavarria-Miranda, C. Coarfa, J. Mellor-Crummey, F. Cantonnet, T.
T. El-Ghazawi, K. Gaj, N. Alexandridis, A. Michalski, D. Fidanci, M. Taher, E.
Programmable Gate Arrays (FPGA 2005), Monterey, California, USA, February, 2005. Field Programmable Technology, IEEE FPT 2004, Brisbane, Australia, Dec. 6-8. Dimension Reduction of Hyperspectral Imagery on a Reconfigurable Computer,"
Jacqueline Le Moigne, Pen-Shu Yeh, Joanna Joiner, Greg Donohoe, Tarek El Ghazawi, Abhishek Agarwal, and Wei Xia, Dimension Reduction of Hyperspectral Data on Reconfigurable Computers, The 2004 Earth Science Technology Conference, 22-24 June 2004, Palo Alto, California. Systems and Applications ESA'04-Las Vegas, Nevada. June, 2004. 2004 Las Vegas, Nevada. June, 2004. Applying Performance Analysis Techniques in SOC Design, The 2004 International Conference on Embedded Systems and Applications ESA'04-Las Vegas, Nevada. June, 2004. Computing (IC 2004) 2004 Las Vegas, Nevada. June, 2004. Workshop 2004, Santa Fe, New Mexico, USA, April 2004. Conference on Field-Programmable Technology, FPT 2003, Tokyo, Japan, Dec.
MAPLD International Conference, Washington, DC, Sep. 2003. Conference, Washington, DC, Sep. 2003. Computer", 2003 MAPLD International Conference, Washington, DC, Sep. 2003. Encryption Cryptosystem on Two General-Purpose Reconfigurable Computers,"
Applications, FPL 2003, Lisbon, Portugal, Sep. 2003, pp. 204-219.
International Geoscience and Remote Sensing Symposium, 2003. IGARSS '03. Embedded Systems and Applications, Las Vegas, Nevada, June 23 - 26, 2003. (LCTES-03), San Diego, Ca., June 11-13, 2003.
and Applications (CSITeA’03), Rio de Janeiro, Brazil, June 5-7, 2003. K. Gaj, T. El-Ghazawi, N. Alexandridis, J. Radzikowski, M. Taher, and F.
2002) Fairfax, VA., October 2002. Trade-offs of Triple-DES in the SRC Reconfigurable Computing Environment,"
MAPLD International Conference, Laurel, MD., September 2002.
International Conference, Laurel, MD., Sep. 10-12, 2002. J. Le Moigne, A. Cole-Rhodes, R. Eastman, T.El-Ghazawi, K. Johnson, S.
Earth Science Imgery," ISIF/IEEE FUSION'02, Annapolis, July 7-11, 2002. .K. Gaj, T. El-Ghazawi, F. Vroman, N. Nguyen, J. R. Radzikowski, P.
Conference on Cluster Computing (Cluster'01), Newport Beach, California, Oct. Symposium (IEEE IGARSS’01), Sydney, Australia, July 9-13, 2001. T. Gharib and T. El-Ghazawi, “A Low Overhead parallel Clustering Algorithm,"
(PDPTA), Las Vegas, June 2001. Technology: Coding and Computing (ITCC 2001), Las Vegas, Apr. 2001.
the Enhancements of a Sparse Matrix Information Retrieval Approach. Applications,” Las Vegas, June 26-29, 2000. Applications, Las Vegas, June 26-29, 2000. Statistical Database Management (SSDBM’99), IEEE CS, Cleveland, July 1999. Mapping on Parallel Machines," Lecture Notes in Computer Science, SpringerVerlag. J. Le Moigne, W. Xia, P. Chalermwat, T. El-Ghazawi, M. Mareboyan, N.
Symposium (IEEE IGARSS’98), Seattle, July 1998. M. Kafatos, D. Ziskin, S. Wang, R. Yang, K. Li, T. El-Ghazawi, and H. Wolf. T. El-Ghazawi, P. Chalermwat, P. Pisama-Nga, A. Ozkaya, N. Speciale, and D.
IEEE Aeorospace’98, Aspen, Mar. 1998. (PAS-97), Aizu, Japan, IEEE Computer Society Press, Mar. 1997. (Frontiers’96), Annapolis, MD., Oct. 1996. Parallel Processing (ICPP’96), IEEE CS Press, Bloomingdale, IL., Aug. 1996. IEEE International Parallel Processing Symposium (IPPS’96), Honolulu, Apr. (DCC’96), IEEE CS, Snowbird, Apr. 1996.
of Frontiers'95, IEEE CS, McLean, VA., Feb. 1995. Parallel and Distributed Processing, Arlington, TX., Dec. 1992. Computing Systems, Yokohama, Japan, June 1992.
with Load Adaptability," Lecture Notes in Computer Science, Berlin: SpringerVerlag. MAPLD International Conference, Laurel, MD., Sep. 10-12, 2002. 2002 MAPLD International Conference, Laurel, MD., Sep. 10-12, 2002. Symposium Remote Sensing of Urban Areas, Istanbul, Turkey, 11-13 June 2002. River Climate and Hydrology, New Orleans, Louisiana, May 13-17, 2002. Society (EGS’02) XXVII General Assembly, Nice, France, Apr. 21-28, 2002. Dimension Reduction Using Principal Component Analysis on the HIVE,"
Science Data Processing Workshop, NASA Goddard Space Flight Center, Feb.
Sensing (ACRS’01) Singapore, 5 - 9 Nov. 2001. Int. Conf., Laurel, MD., Sep. 2001. Multispectral and Hyperspectral Data VII, Orlando, Apr. 16-20, 2001. Observations and Global Information, Cairo, Egypt, Nov. 11-14, 2000. (SNPD'2000), Champagne-Ardenne, France, May 18-21, 2000. M. Kafatos, R. Yang, L. Chiu, T. El-Ghazawi, Z. Li, J. McManus, C. Wang, X. Distributed Data Information Framework Supporting Earth System Science. International Conference on Information Systems Analysis and Synthesis (SCI/ISAS’99 Multiconference), Orlando, July 1999. Image Registration Workshop (IRW’97), Greenbelt, MD., Nov. 1997. CCSDS, Greenbelt, MD, Nov. 1994.
for Scientific Computing, Norfolk, VA., Mar. 1993. Partitionable SIMD/MIMD Architectures," Proceedings of the ISMM International Conference on Computer Applications in Design, Simulation, and Analysis, Orlando, FL., Mar. 1992. D.C., vol. II, Oct. 1991. Washington D.C., Vol. II, Oct. 1991. Youssef and T. El-Ghazawi, "Fault Tolerant Routing in Product Networks,"
Distributed Computing and Systems, Washington D.C., Vol. II, Oct. 1991. Simulation, Pittsburgh, PA., May 1988.
the 29th Midwest Symposium on Circuits and Systems, Lincoln, Nebraska, Aug.
Electronics, Albuquerque, New Mexico, May 1986. Circuits and systems, Louisville, Kentucky, Aug. 1985. General Co-Chair, International Symposium on Applied Reconfigurable Computing, Belfast, March 2011. Applications, AICCSA 2011, Sharm El-Sheikh, June 2011. General Co-Chair, High-Performance Reconfigurable Computing Technology and Applications Workshop, New Orleans, November 2010. General Chair, The 10th IEEE International Conference on Scalable Computing and Communications (ScalCom-10), Bradford, UK, June 29-July 1, 2010. General Chair, The 10th IEEE International Conference on Computer and Information Technology (CIT-10) Bradford, UK, June 29 – July 1, 2010. Program Chair, International Symposium on Applied Reconfigurable Computing, Bangkok, March 2010. General Co-Chair, High-Performance Reconfigurable Computing Technology and Applications Workshop, Portland, November 2009. Program Co-Chair, High-Performance Reconfigurable Computing Technology and Applications Workshop, Seattle, November 2008. Program Co-Chair, High-Performance Reconfigurable Computing Technology and Applications Workshop, Reno, November 2007. (PGAS2006), Washington D.C., October 2006. Workshops chair for the Frontiers of the Massively Parallel Computation. Sponsored by the IEEE, IEEECS and NASA. Mclean, VA, February 1995. Local Arrangements Co-Chair for the International Conference on Reliability, Quality Control and Risk Assessment. Sponsored by IASTED in cooperation with the IEEE Reliability. Washington, D.C., November 1992. Program Co-Chair for the Fourth ISMM International Conference on Parallel and Distributed Computing and Systems. Sponsored by the ISMM. Washington D.C., October 1991. Preprocessing Big Data with Heterogeneous Hardware. Keynote at HPC China 2013 Big Data Forum, Oct 29-30, 2013. The Next 20 Years of Reconfigurable Computing. Presentation at Reconfigurable Architectures Workshop (RAW 2013) Panel, held in conjunction with IPDPS’13, in Boston, May 20-21, 2013. Analyzing Big Data and Crunching Large Scale Simulations at Speed- The Advances in High-Performance Computing. Keynote talk at Interface 2013 Symposium at Chapman University, Orange, California, April 4, 2013. Advances in High-Performance Computing: The Race to the Top. Colorado State Univ., ISTeC (Informations Sciences and Technology Center, CSU) Distinguished Lecture in conjunction with the Electrical and Computer Engineering Department and Computer Science Department Seminar Series. Feb 18, 2013. Future Directions in High-Performance Computing: Cloud, Datacenters, and Dedicated Systems what are the issues? Presentation at Panel discussion in IEEE International Symposium on Signal Processing and Information Technology, Dec 12-15, 2012 Ho Chi Minh City, Vietnam. Mobile Cloud Computing – Opportunities and Challenges. Keynote at International Conference on Complex Systems (ICCS) 2012, Nov 5-6 2012, Agadir, Morocco. Advances in Supercomputing - International Workshop on Information Technologies and Communications, Casablanca, November 2011. Embracing Heterogeneity in High-Performance Computing, Keynote Address: International Conference on High Performance Computing and Simulation, Istanbul, Turkey, July 6, 2011. The Challenges of Computing with FPGAs, Reconfigurable Architectures Workshop, Keynote Address: held in conjunction with the International Parallel and Distributed Processing Symposium, Anchorage, Alaska, May 17, 2011. Multimedia Processing Meets High-Performance Computing, Keynote Address: International Conference of Multimedia Computing and Systems, Ouarzazate, Morocco, April 8, 2011. PGAS Programming in UPC, Spring School, Tutorial: organized by the Partnership for Advanced Computing in Europe (PACE), at University of Edinburgh, UK. Edinburgh, March 30, 2011. Parallel Programming for Multicore and Parallel Computers, Invited Talk: Abdelmalek Essadi University, Tangier, Morocco (Sponsored by the Fulbright Commission and AEU), March 14, 2011. Advances in High-Performance Computing, Invited Talk: Abdelmalek Essadi University, Tangier, Morocco (Sponsored by the Fulbright Commission and AEU), March 10, 2011. Towards Ease-of-Use and Portability for Heterogeneous Accelerated HighPerformance Computing, Invited Talk: A Case Study. US AFOSR-Computational Math Review, Arlington, VA July 2010. Computing with FPGAs: Where does it stand and what is next? Keynote Address: FPGA World, Copenhagen, September 2010. Performance Computing: A Case Study. AFOSR Computational Math Review, Invited Talk: July 2010. The Programmer Productivity Challenges in Modern Computing (Distinguished Visiting Professor Lecture), Invited Talk: American University at Cairo (AUC). April 2010. Advances in High-Performance Computing. (Distinguished Visiting Professor Lecture), Invited Talk: American University at Cairo (AUC). April 2010. Programming with the PGAS Programming Model. (Distinguished Visiting Professor Lecture), Invited Talk: American University at Cairo (AUC). April 2010. The Ubiquity of High-Performance Computing: In Search of Unifying Solutions. Invited Talk: DARPA IPTO Distinguished Lecturer Series. July, 2009. The Ubiquity of High-Performance Computing: In Search of Unifying Solutions. Invited Talk: DoD High-Performance Computing Modernization Program Office. July, 2009. The Ubiquity of High-Performance Computing: In Search of Unifying Solutions. Invited Talk: IBM Research- Arlington Research Lab. March 2010. The Challenges of Hardware Accelerated Computations. Invited Talk: Office of the Secretary of Defense and GMU. September 2009. The Case and Hurdles for High-Performance Reconfigurable Computing. Invited Talk: DoD. July 2009. Computing with Manycores and Heterogeneous Processors: The Productivity Challenges. IFIP 2009 International Conference on New Technologies, Mobility and Security (NTMS’09) Keynote Address: Cairo, December 2009. Programming in the PGAS Model, IEEE/ACM Supercomputing, Tutorial: Portland, November 2009. Programming in the PGAS Model, PACT’09, Tutorial: Raleigh, September 2009. Do Not Ask What FPGAs Can Do for HPC, Ask What HPC Can Do for FPGAs. Xilinx Corporation, Invited Talk: Santa Clara, January 2009. Forum, Invited Talk: Roanoke, April 2009. The Software Challenges of Heterogeneous Multicore Processors: Lessons from High-Performance Computing. International Forum on Multicore Technology, Keynote Address: Cairo, November 2008. Advances in High-Performance Computing. IEEE International Conference on Computer Engineering and Systems (ICCES'08) Keynote Address: Cairo, November 2008. The Ubiquity of High-Performance Computing. IFIP 2008 International Conference on New Technologies, Mobility and Security (NTMS’08) Keynote Address: Tangier, November 2008. Programming in the PGAS Model, IEEE/ACM Supercomputing, Full Day Tutorial: Austin, November 2008. Panel Moderator- Software Challenges for Heterogeneous Multicore Processors, IEEE/ACM Supercomputing, Invited Talk: Austin, Nov 2008. Distinguished Panelists (David Patterson – UCB, Mark Snir – UIUC, David Bader- Georgia Tech, Vivek Sarkar- Rice).